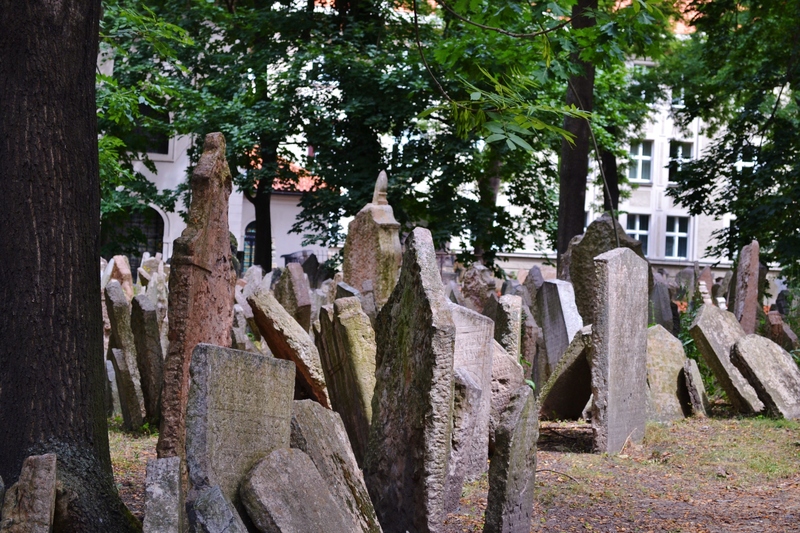 We have just returned from a long trip that was bookended by time in Prague and Dachau: Prague for the first couple of days, followed much later by Dachau on our last day. 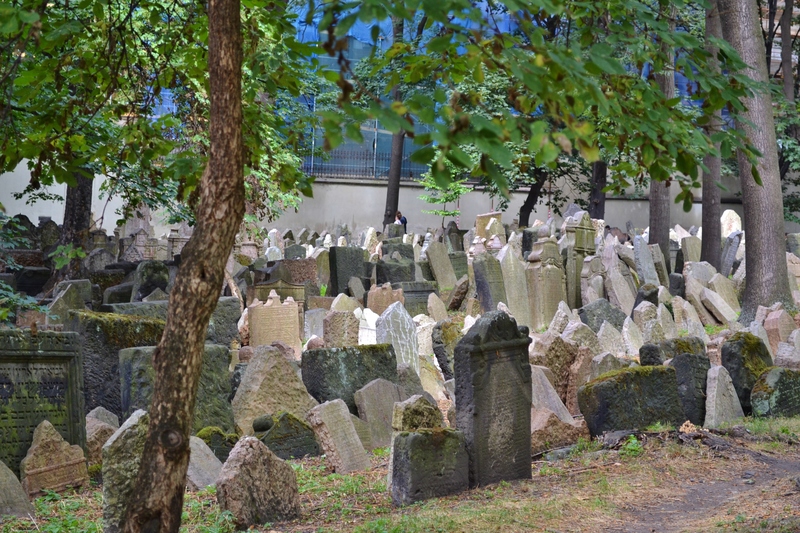 I have plenty to say about that–but I need some time and space to get my head around a place like Dachau, or even around the Jewish Quarter of Prague and the history there– so today’s offering is short and mostly visual. 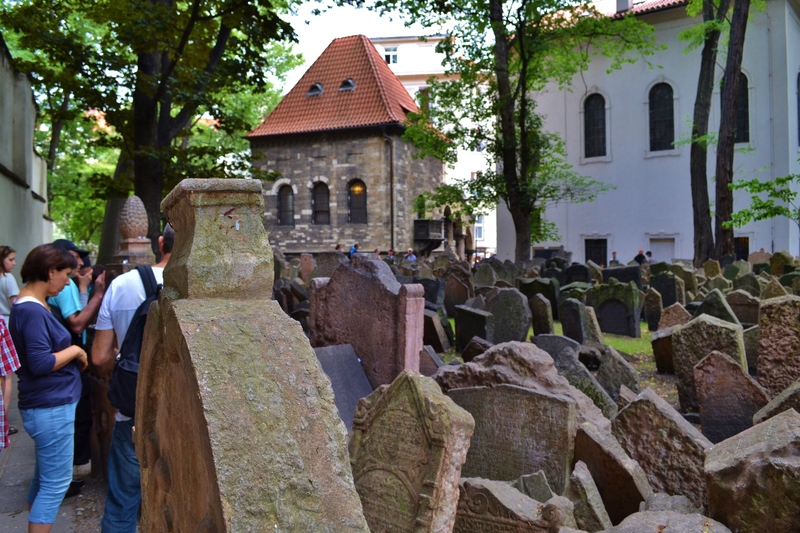 The Old Jewish Cemetery in Prague rises above street level and offers over 10,000 gravestones crowded into a small space. 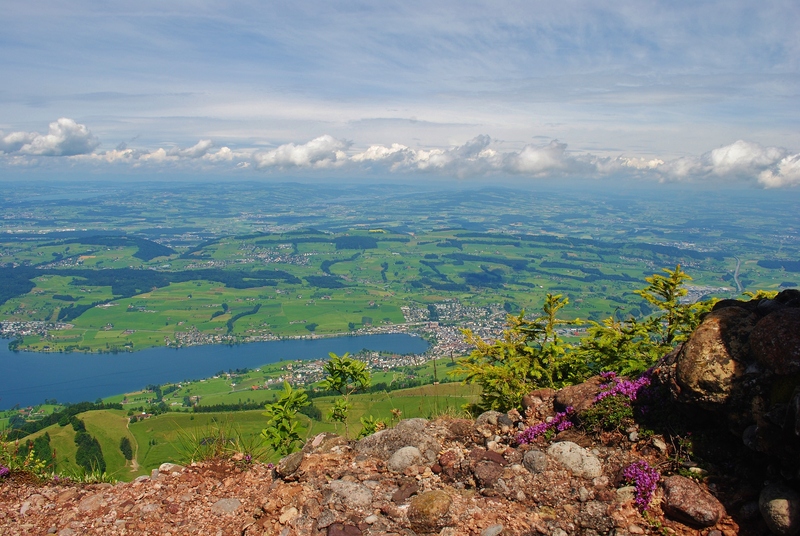 But there’s more– much more– than meets the eye. 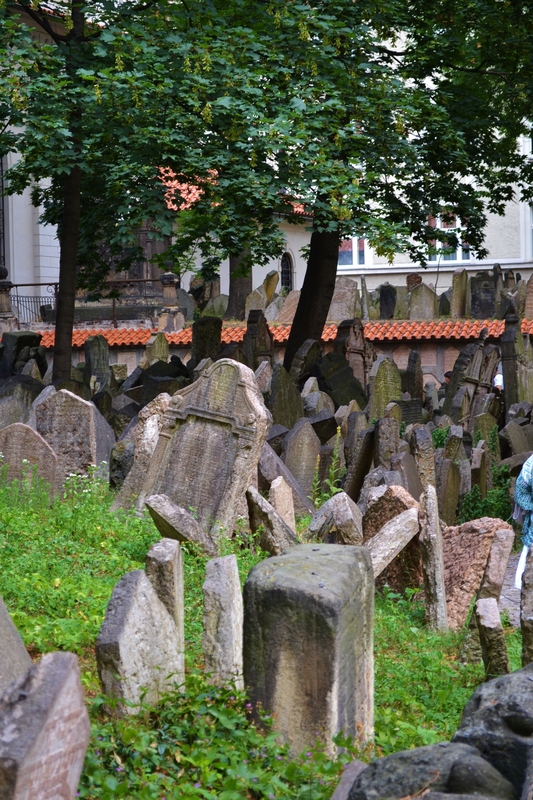 There may be nearly 100,000 graves below this top layer. 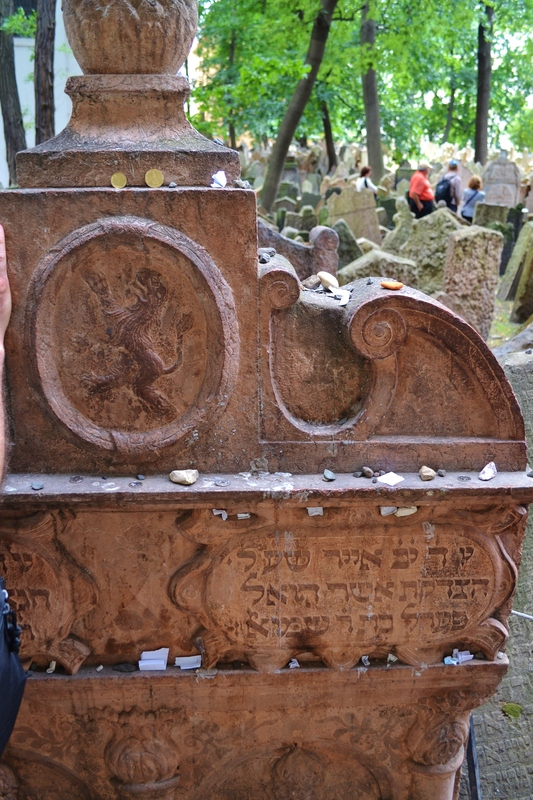 These graves date from the 1400’s to the 1700’s, and the graveyard is overcrowded because of the Jewish Community’s enforced isolation in the ghetto here. 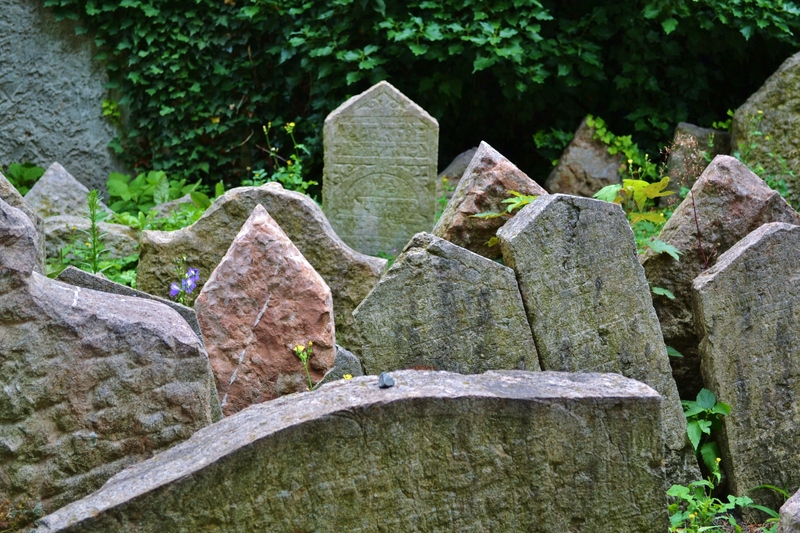 There simply wasn’t more space for these graves, so they built up instead of out. (And this long before the atrocities of World War II.) 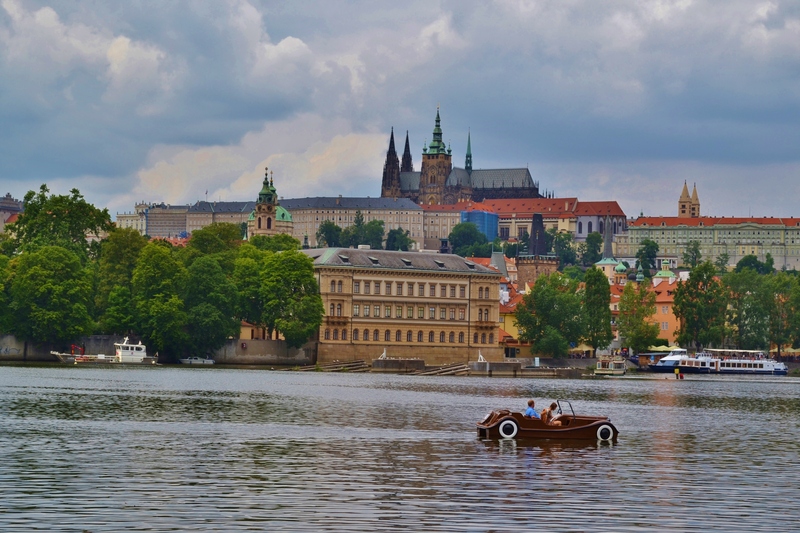 While life here was replete with difficulties, it was also abundant with art, tradition, and literature. 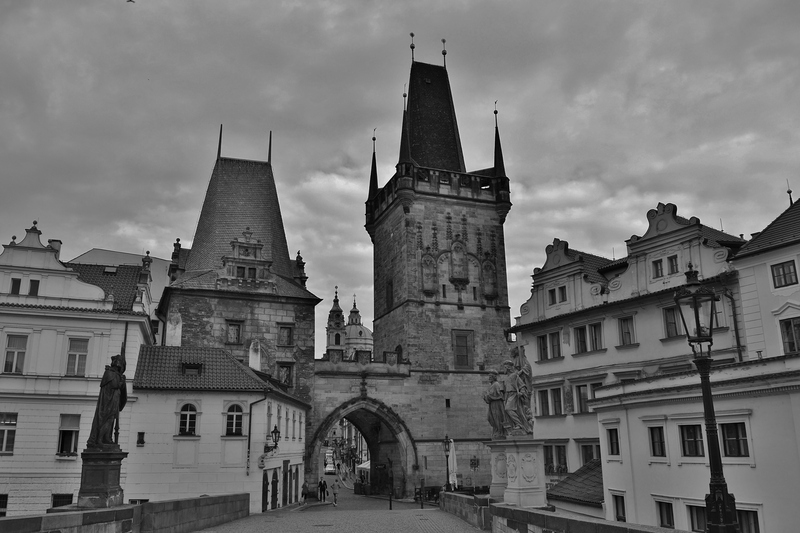 The legend of the Golem traces back to Prague, and Franz Kafka (in more recent times) was born in the Jewish Quarter. 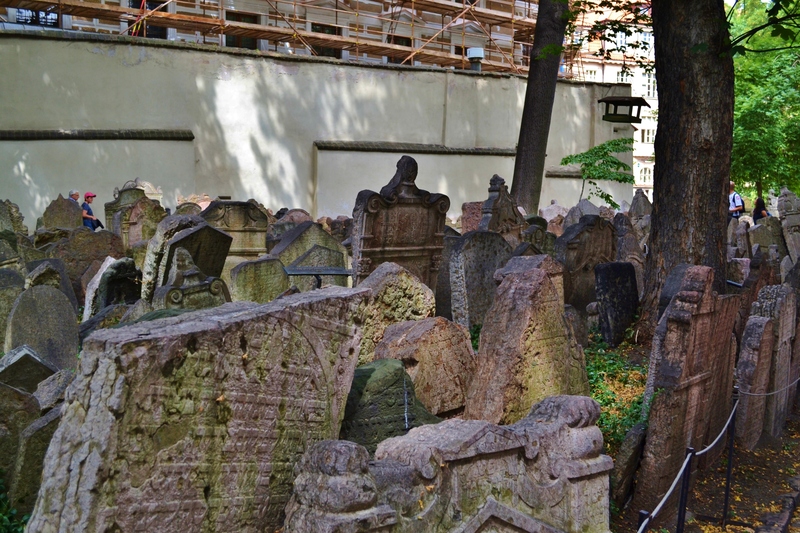 The cemetery is haunting, but also beautiful. Here are a few photos from our visit. 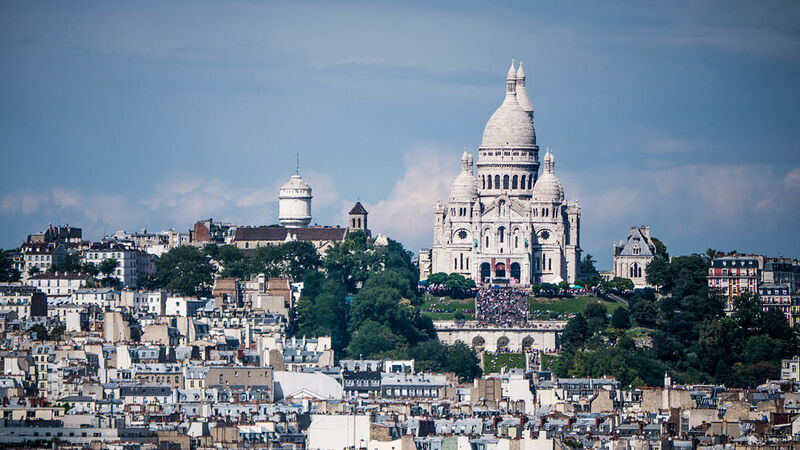 The Basilica of the Sacre Coeur, in Montmartre, is one of the most recognizable landmarks in Paris. This is a little surprising because it is one of the newer landmarks in the city, at just over 100 years old. (Of course, the same can be said of the Eiffel Tower, which is unquestionably the most recognizable landmark in the city.) 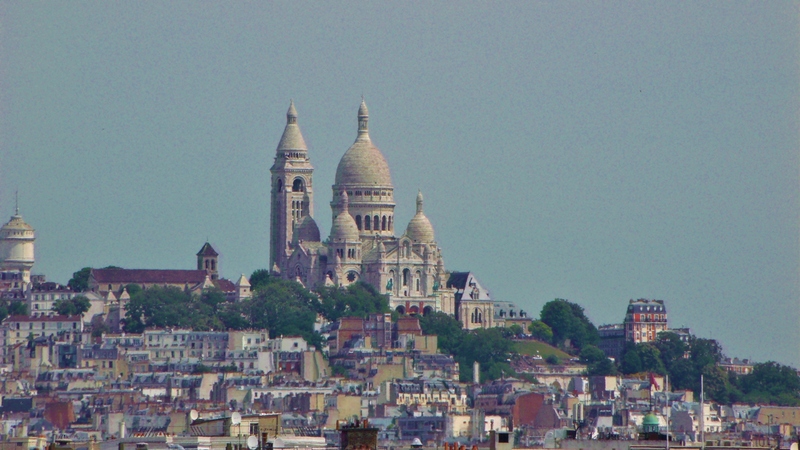 On a recent visit to Paris, I snapped a photo (above) of the grand church from the roof of the Musee d’Orsay–quite a distance away, but there’s the lovely church, majestic atop the hill of Montmartre, demanding to be noticed. 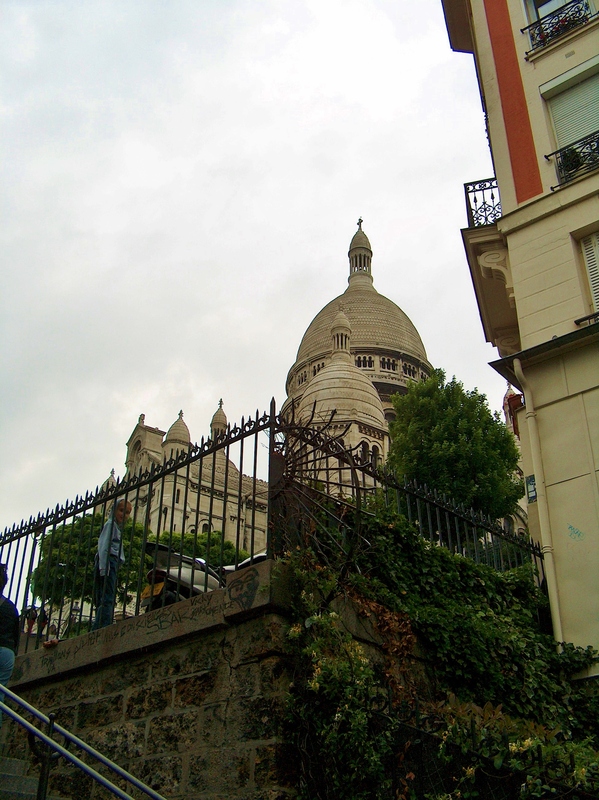 We didn’t make it up the hill to visit Montmartre on this trip, but just looking across the city toward the hill brought back memories of a trip in 2008 when we climbed the stairs of Montmartre with the kids (very young then) and wandered the area. I recall lots of artists’ stalls, lots of tourists, musicians, and stunning views out over the city. 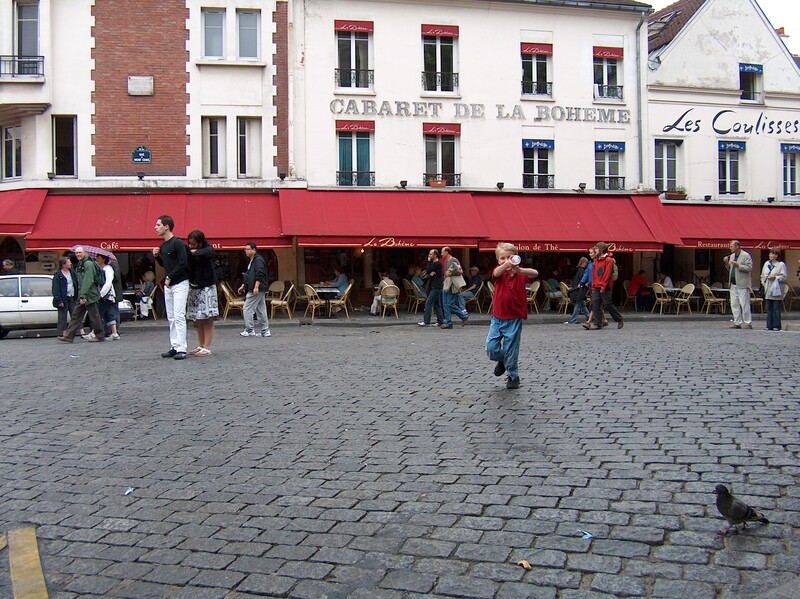 I also remember setting our young son loose to chase pigeons in one open square, in hopes that he could run some energy out while the rest of us just sat and soaked up the atmosphere. It was a great place to just hang out and enjoy an afternoon. 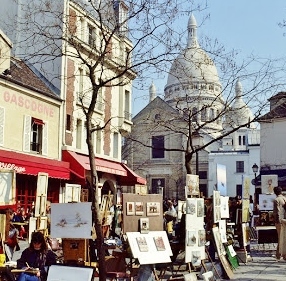 Montmartre has an artistic vibe. It’s also a good place to let the kids run their energy out! I had a lot of fun getting up close and personal with the other sights of Paris this trip . . .but every now and again, I’d look up and see the Sacre Coeur hovering in the distance. She might have been far up the hill and across the town, but she wasn’t going to let me forget her. Maybe next visit we’ll drop in on her again.